Who Is the Best Blackjack Player in the World? The NFL has the Super Bowl. Major league baseball has the World Series. Texas hold’em has the World Series of Poker. But blackjack has no comparable championship event, and who the best player in the world is amounts to opinion. In fact, since many great players are card counters who practice their art surreptitiously (to avoid heat from the casinos), it’s likely that the absolute top player in the world is unknown to everyone. We can take a look at a pool of candidates, though. Consider some of these players and their exploits. Get $3000 When You Download the Blackjack Game at CasinoTitan. Don Johnson has been called “the man who broke Atlantic City.” Atlantic Monthly‘s profile of Johnson describes how he won over $15 million in Atlantic City on a three-night spree, his winnings split among three different properties. His streak, which included a three-hand sequence that netted him more than a million bucks, made him famous. Johnson is not a card counter, and he’s not a professional player. He almost single-handedly decimated the monthly profits of three different Jersey Shore casino venues in one long weekend, though. He used his large bankroll to arrange VIP rules in private games. These rules tilted the game just enough in his favor that, when combined with basic strategy, he was more likely to win as often as not. He got on a lucky streak, there’s no doubt, but being able to negotiate playing conditions that allow for that kind of luck qualifies him for inclusion on this list. He’s also probably the most famous 21 gambler as a result of the subsequent media coverage. Sam Vaughn won a million dollar tournament at the Las Vegas Hilton in 2005, but he’d accumulated over $1 million in winnings even prior to that. He put hundreds of thousands of miles on a van that was driven back and forth from Phoenix to Las Vegas in order to play. You can read an interview with Sam Vaughn here. The MIT Blackjack Team is the best-known card counting entity in the Western world, but it’s actually a team of gamblers with a roster that’s changed constantly since the 1980s. Their exploits were recorded in Ben Mezrich’s book, Bringing Down the House: The Inside Story of Six MIT Students Who Took Vegas for Millions, which was filmed as the movie 21 in 2008. They eventually formed a legal partnership in the state of Massachusetts called Strategic Investments. Within a year of its inception, Strategic Investments made substantial payments to their investors, with as many as thirty team members playing at any given time somewhere in the world. Brian Zembic is known as a man who will do anything on a bet. After he won a bet saying he couldn’t have breast implants and keep them in for at least a year, Zembic refused to have the implants taken out. 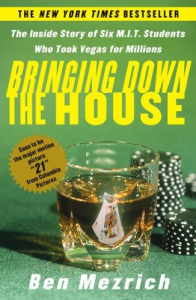 The story inspired a book of stories about gamblers titled The Man With the $100,000 Breasts and Other Gambling Stories. Zembic played in the World Series of Blackjack, though he didn’t win the season he took part in. He’s a regular high-stakes gambler, a professional magician, and one of the most colorful characters in contemporary casino gambling. Andy Bloch got his start in professional gambling as a member of the MIT Team, but he’s more famous as a poker player now. He donates large amounts of his online poker winnings to charities that aid Darfur. He’s featured in several books, including Bringing Down the House. He’s almost certainly the best-known member of the team, even though his career has changed directions since his college days. 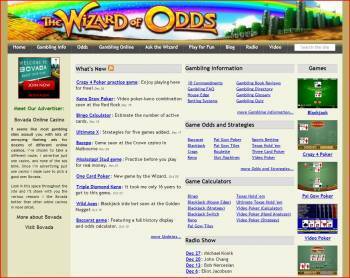 Michael Shackleford is well-known for his Wizard of Odds website, which features in-depth statistical analysis of hundreds of casino games. He also blogs and answers readers’ questions about gambling. In 2011, Shackleford won the 2011 Blackjack Ball title of “The Best Gambler in the World. You can read more about what it took to win that title on his site. Who is the Most Famous Player in the World? How do you measure fame? One way is to look at the number of results that Google returns when you do a search for that name–the more people who are talking about you on the Internet, the more famous you are. Of course, that’s a limited sampling, but it’s reflective of who’s been discussed the most often on the Internet.